Missouri State Representative Stacey Newman is deeply concerned about the state’s gun violence, and figures perhaps it might help matters to make guns a little harder to buy. Luckily, she’s got a perfect model right in front of her: Missouri’s abortion restrictions, some of the most onerous in the country. As St. Louis magazine reports, Newman has pre-filed a bill for the upcoming legislative session that would subject gun buyers to the exact same restrictions currently faced by people seeking abortions. Verify in writing by a licensed physician that the purchaser has toured an emergency trauma center in the nearest qualified urban hospital on a weekend between the hours of 10:00 p.m. and 6:00 a.m. when gun violence victims are present. Missouri passed a 72-hour waiting period on abortions in 2014, among the longest in the country. 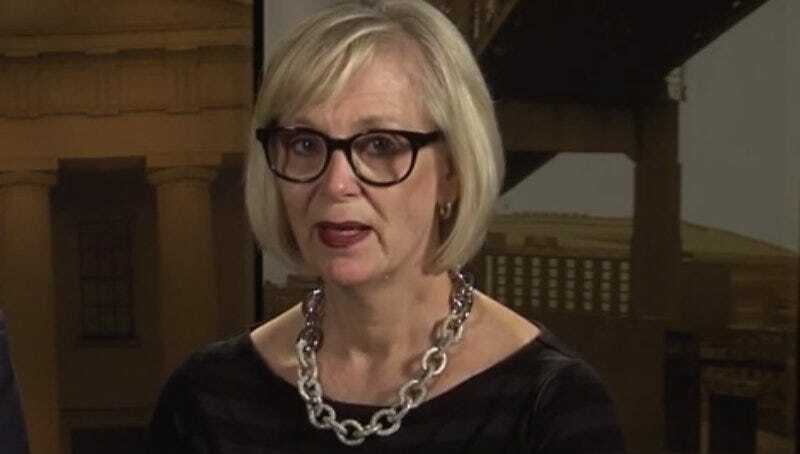 The Missouri House attempted to pass a bill last year that would have required women to watch an “explanatory video” on abortions, which died in committee.